Spring is just around the corner, and it won't be long before we’ll be ready to pack away the snow shovels and bring out the picnic gear and lawn games. Planning ahead and preparing for spring is an essential aspect of making sure that your business can meet the needs of your eager customers. In this blog you can learn more about how you can be on the ball and ready for spring, whenever it finally arrives. Why Plan Ahead for Spring? Your customers value your ability to anticipate their wants and have the essentials they need on hand, whether it's beverages like the new Lipton half & half, snacks like Wiley Wallaby Gourmet Liquorice or Kookamunga Crunch, picnic supplies, or any of the other odds and ends that are necessary for a day of fun. While snowy roads and chilly temperatures may make it difficult to think about the upcoming spring season, us Midwesterners know that the weather can turn on a dime. When you plan ahead, you can be certain that you will have everything you need for opening day, no matter when spring makes its grand entrance. In addition to being prepared for a sudden change in temperatures, planning ahead allows you to stay up-to-date on the current trends of the season. By preparing for spring ahead of time, you can ensure that you have the season's hottest products on hand. Planning for spring allows you to anticipate your customers' needs and build up a sufficient inventory of the items they expect. Operating a seasonal business can be somewhat stressful, but planning ahead saves you a great deal of worry and hassle. While your competitors may be scrambling to meet the changing demands of their customers when the sunshine and blue skies roll around, you will have everything you need to enjoy a great season ahead. Does My Business Need Seasonal Products? If you are operating a recreational facility, it can be easy to overlook the need for seasonal products and supplies. In your dedication to guaranteeing the safety and enjoyment of your guests, you may forget to ensure that you have the “other stuff” on hand - like a sufficient amount of toilet tissue and register tape. However, it's these small details that can have a significant impact on your guests' overall experience with your business. While they may not remember every aspect of their visit, they will surely remember if the delicious and wide variety of beverages and snacks you offer, or if you have the table settings they might have needed. By ensuring that you are well stocked with the perfect combination of seasonal supplies to accommodate your visitors, you can ensure happy customers and repeat business. While preparing for spring can be a daunting task, a little planning for spring is all it takes to ensure a smooth a stress-free transition. Regardless of your business, you can expect to need an assortment of supplies on hand, including napkins, straws, and more. 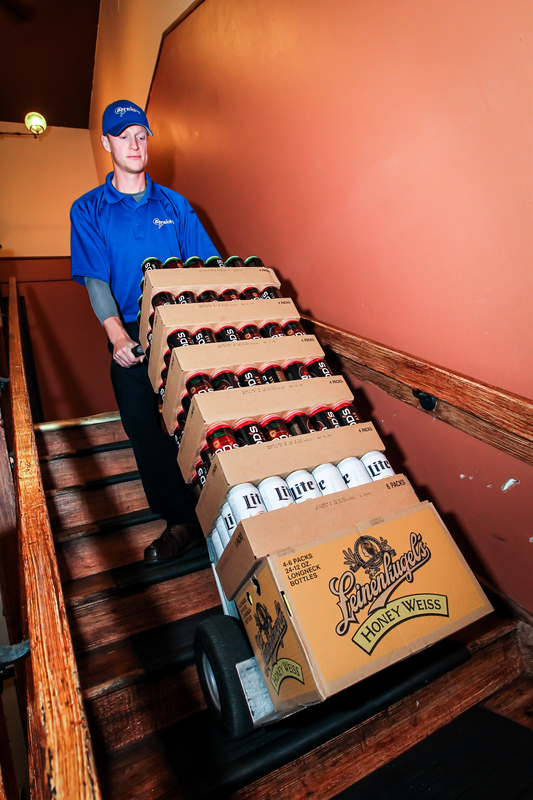 Your customers may also expect to have a wide variety of beer, soda, beverages, and groceries they can choose from. So where do you begin? Depending on the specific needs of your business and your customers, your spring shopping list will vary. Bernick's can work with you to determine how to best prepare for your needs this spring. With the staff, resources, and experience in meeting a wide range of needs, Bernick's is the perfect all-in-one supplier. By working with Bernick's as your exclusive supplier for the spring supplies you need, you can save time and optimize the efficiency of your business. Your Bernick's representative will have the opportunity to get to know you, your business, and the community that your business serves. By developing a unique understanding of both your needs and the needs of your customers, Bernick's can provide insight on how to improve your services and earning potential for your seasonal business, during the spring season and all year round.